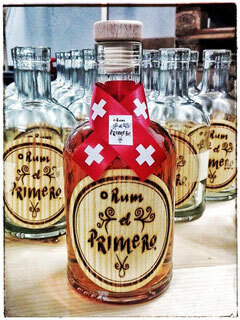 The FIRST Swiss Sugar Beet Spirit with pure Rum-Character. It all started armed with a Zyliss-Handmachine through neighbour's hand and helpers power in the laundry room. Now it pleasures our senses with a sweet and earthy taste of rum. It's the result of creative thinking, unlimited dreaming and passionate drive. A beverage of noble-minded felicity. IF YOU DON'T UNDERSTAND THE GERMAN PAGES, PLEASE CONTACT US - WE SPEAK ENGLISH!